Don't Give Up, Don't Give In by Dr. Curtis L. Ivery Dr.
About meBeaufort Books is an innovative publisher of non-fiction and fiction. Based in New York City, it was named one of the fastest growing independent publishers of 2007 by Publishers Weekly. We believe in the dynamic value of partnering. Beaufort has designed a model that involves the author in all aspects of the publishing process, and draws on the professional experience of the Beaufort team every step of the way. 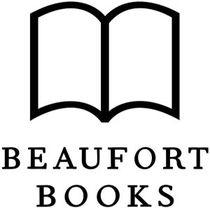 Beaufort’s books are distributed by Midpoint Trade Books, one of the largest distributors in the industry, with over 250 independent presses in the United States, Canada, England, Scotland, Australia, and Ireland.